I want to submit an ad or have an ad designed for me. Let our experienced account executives help you select the exposure to suit your needs and budget by emailing us at info@adpub.com or calling 1-800-425-1314. 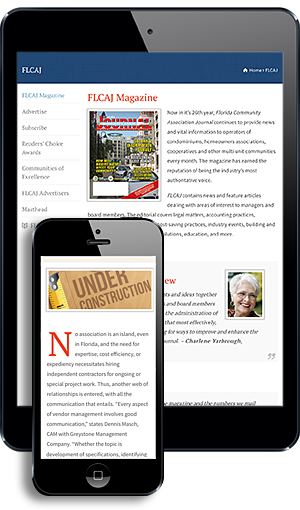 The Florida Community Association Journal has been the leading source of information for community associations for over 30 years. Our readers are Florida condominium and HOA board members, association managers, property managers, and service providers who serve the industry.We have proven highly effective for our advertisers for over 30 years.